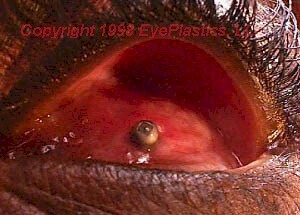 An ocularist is a carefully trained technician skilled in the arts of fitting, shaping, and painting ocular prostheses. In adds to to creating it, the ocularist shows the patient how to handle and care for the prosthesis, and provides long-term care through periodic examinations. Motility can also be enhanced by coupling the internal implant with the external eye prosthesis by using the MCP (Motility Coupling Post) System. 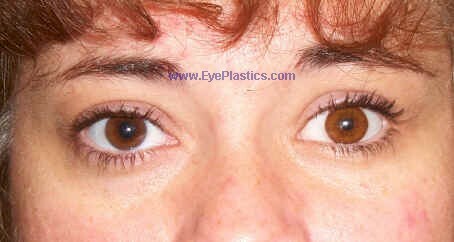 This simple procedure can be performed by a surgeon in their office surgical area. The MEDPOR® MCP Coupling Post, a system for enhanced prosthetic eye motility, has been developed to meet the desires of ophthalmologists and their anophthalmic patients who have been reconstructed with MEDPOR® Enucleation Shapes. The central feature of this motility enhancing system is a threaded, medical grade titanium alloy post that may possibly be easily placed in the patient's reconstructed socket following sufficient time for vascularization of the MEDPOR® Enucleation Shape. 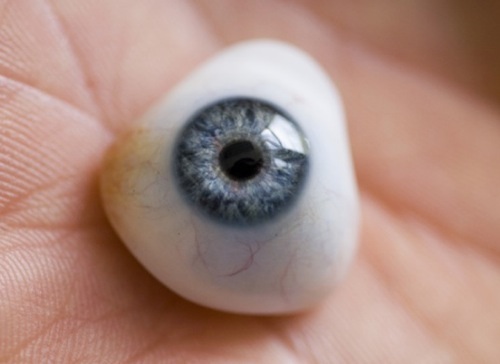 The back of the prosthetic eye is then modified to accept the rounded head of the MCP. The MCP may possibly be introduced in a simple office procedure under local anesthesia, without the need of a power drill. The threaded post design allows for individualized height adjustment and prevents peg fallout which has been seen in other coupling systems. Excellent tissue interface has been observed between the conjunctiva and the titanium post. The opportunity of motility enhancement, the favorable biocompatible structure, and the physical characteristics of MEDPOR® Enucleation Shapes provide the ophthalmologist and the patient an attractive surgical option for enucleation procedures.